One of the four original “Asian Tigers”, Singapore is a glittering cosmopolitan city with a history deeply rooted in trade and commerce. A cultivated playground for sophisticated world travellers and a global financial centre with a tropical climate and multicultural population. 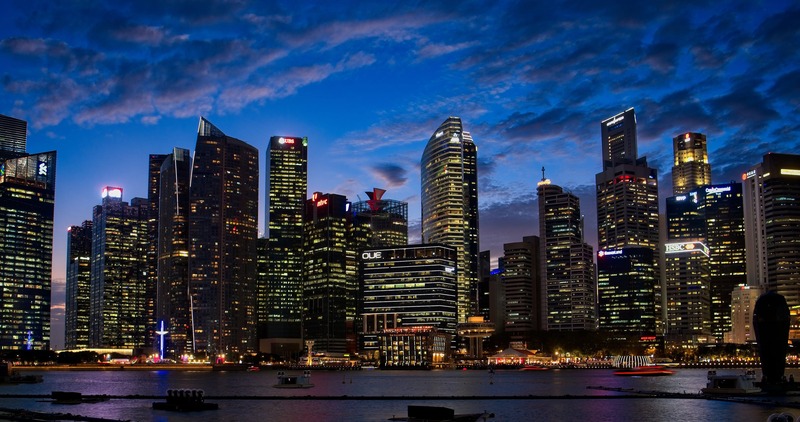 Singapore is home to companies from all industries including; Industrial, Technology, Consumer Goods, Oil and Gas and Financials. Changi Airport is the major airport for Singapore and one of the largest transportation hubs in Southeast Asia, serving more than 100 airlines and flying to some 400 cities in about 100 countries and territories worldwide. Each week, around 7,200 flights land or depart from Changi, with more than 62.2 million passengers passing through the airport annually. The efficient and clean public transportation in Singapore makes getting around a breeze. Fast, affordable and convenient, the MRT trains (running from 5:30 am - 24:00 pm) are your best bet when travelling across downtown and the outskirts. If you intend to travel a lot by MRT, get a stored value card (SG$ 10 and SG$ 50) which works on the public buses as well. Taxis are relatively inexpensive but be aware that there are sometimes extra charges on top of the fare, e.g. for entering the Central Business District at peak hours, travelling after midnight or from the airport. Buses are relatively cheap, easy to take and cover virtually every corner of the city. For sightseeing, or just for fun, you can take a harbour cruise or a bumboat cruise down the Singapore River, for a glimpse of what the harbour must have been like back in the day. Singapore is home to an array of hotel types suiting all business travel budgets. From luxury abodes to business hotels and budget-friendly beds. TripAdvisor has a comprehensive list some of the best hotels in Singapore HERE giving you the best overview for your budget along with recent up to date reviews of each property. Even though Singapore is relatively small, it's jam-packed with areas waiting to be explored. Orchard Road is well known for its shopping, Marina Bay for its world-class glamour, Chinatown for its dining-out possibilities, Little India for its colourful energy, and Sentosa Island for its leisure and fun opportunities.The entire city-state is well-linked by public transport, enabling you to cover multiple areas in one day. Sentosa is an island resort off Singapore’s southern coast, connected to the city by road, cable car, pedestrian boardwalk and monorail. It's home to the Tiger Sky Tower, which has panoramic views stretching as far as Indonesia. Gardens by the Bay is a nature park spanning 101 hectares of reclaimed land in the Central Region of Singapore, adjacent to the Marina Reservoir. The park consists of three waterfront gardens: Bay South Garden, Bay East Garden and Bay Central Garden and is a real treat for the eyes of any visitor. Depending on how much “Bleisure” time you have on your business trip, a visit to Universal Studios is a must! Also located on Sentosa Island, Universal Studios is home to over 24 attractions and is a must for any thrill seeker. The Singapore Flyer is Singapore's answer to London's Millenium Wheel. Standing at 165 metres, with a diameter of 150 metres, its the tallest Giant Observation Wheel in the world, and a fantastic way of seeing Singapore in its full glory. Chinatown is home to colourful Peranakan shop-houses and handful of historical attractions, making for a pleasant stroll. It is divided into four main districts; Kreta Ayer, Telok Ayer, Tanjong Pagar and Bukit Pasoh, but the centre of activities revolve around Smith and Pagoda Streets. Boat Quay is a historical quay in Singapore which is situated upstream from the mouth of the Singapore River on its southern bank. A real photographers playground, it serves as one of the most popular places for a waterside drink or nibble in Singapore, with its wide range of colourful and charismatic bars and alfresco restaurants. Which leads us nicely on…. Singapore is home to a fantastic array of restaurants serving an array of cuisines from around the globe. Origin Grill, part of the Shangri-La Hotel Singapore, showcases fresh, authentic flavours from curated, unique and quality-driven ingredients. Chefs Table by Chef Stephan was voted one of Singapore's top restaurants in 2018 and is home to a sensational menu of fine dining dishes. For something a little less pricey, Hua Yu Wee is an old style old crab restaurant situated in an old house with a huge outdoor seating area in the back. The Tiong Bahru Market has been a go-to lunch spot and food haven for many years and is home to Thai, Vegetarian, Vietnamese, Malay and Western foods and a real laid-back treat! Alongside dining, shopping is considered the national pastime on the island. Ranging from hi-tech wares to designer wear, there is something for everyone. Browsing around local markets and shop-houses in the ethnic enclaves to the glitzy portals of Orchard Road, the experiences are wide, varied and intriguing, to say the least.